FLOR is an innovative manufacturer of modular carpet tiles, which come in a variety of colors, patterns, and textures, some suitable for office use, some for home. Oddly enough, two of their latest kits, entitled Hello Down There and Be My Neighbor, focus on cities and suburbs! Signs of the Times is a public art project by Seyed Alavi on utility boxes in Emeryville, CA. Alavi created the Flying Carpet in the Sacramento Airport I wrote about last year, so this project was on my Bay Area to-do list. Unfortunately, I only saw the above sign in person; below are a few more snagged from his site. 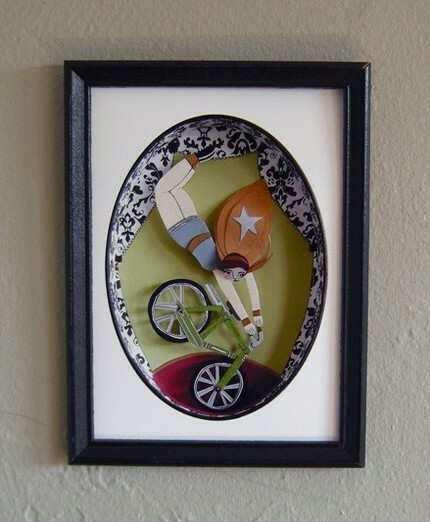 Sacramento-based artist Jayme McGowan creates intricate dioramas of people in whimsical situations. These dioramas exist both as originals and as digital prints, which are for sale in the Roadside Etsy shop. 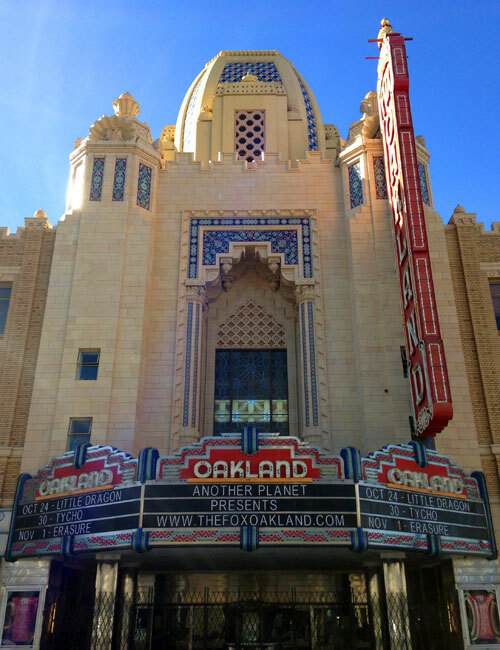 Seyed Alavi is a Bay Area-based artist who has worked on some amazing installations and public art projects. 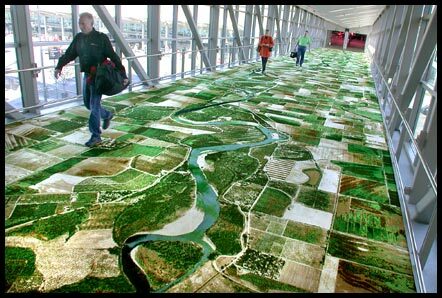 Above is his Flying Carpet for the Sacramento International Airport, a carpet printed with an aerial photograph showing approximately 50 miles around the airport.